Sierra's View: Sierra's HIKING View. I've decided that I'm going to try to correlate all of my blog titles with my blog name, Sierra's View. It's cheeky and cute and exactly what a blogger would do. You know what I mean? Last Friday, I had a ton of energy. I honestly have no idea where it came from or what sparked it, but I had this intense desire to go hike and push myself. Many of you know (and are sick of hearing me talk about it!) that I live in a beautiful place in Utah. I live in a little "cove" hidden inside these mountains. It's the most fantastic place ever. Literally a two minute drive and I'm right near a gorgeous hike. A hard, gorgeous hike, mind you (or maybe I'm just reeeeeally out of shape. Probably both!) I grabbed my pup, and we headed up the mountains. It was a perfect Friday afternoon after a long week of parent teacher conferences and play rehearsal (come see me as Mrs. Cratchit in a Christmas Carol in December!) and I needed to be outside in nature. Seriously being outside makes me feel so free and at peace; a sanctuary. I especially love the warm days in Fall--where the coldness hasn't quite hit and you simply feel the brisk warmth and enjoy the GORGEOUS fall colors. Seriously, is there anything more wonderful than all of the colors of fall? 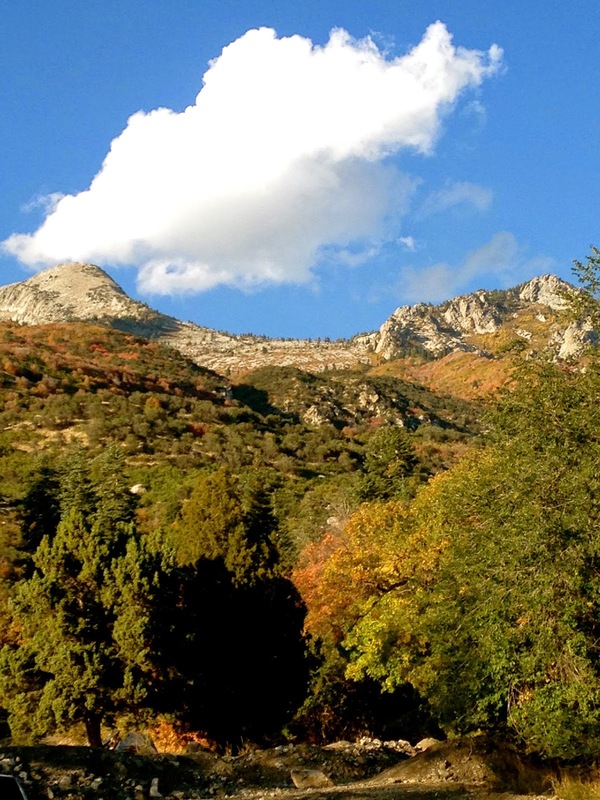 I wish I would have taken my nice camera, but I still got these beautiful photos up Dry Creek Trail in Alpine, Utah. Not too shabby for phone pics, if I do say so myself! Those of you who live in Utah, what are some of your favorite hikes? I want to know some more awesome hikes in this state! Do you like to be outside in nature? What are some of your "places of peace?" 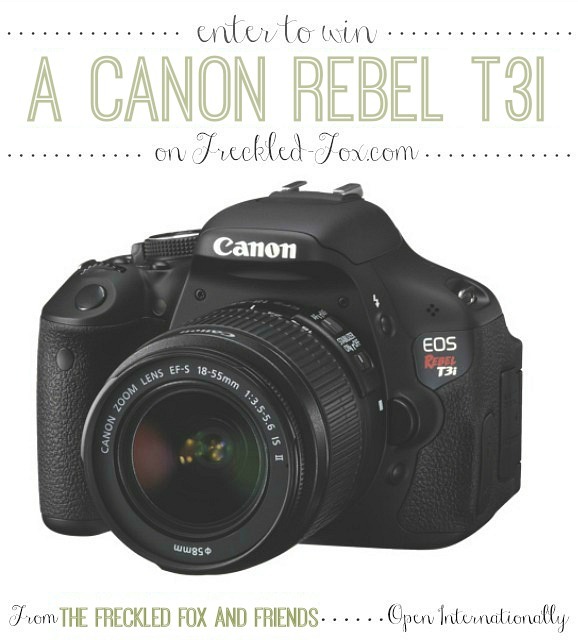 Also…some friends and I are giving away a CANON REBEL T31! Seriously, one of the most amazing giveaways I have ever been involved in. You will not want to miss out on those. So fun! My first DSLR made such a huge positive impact on my blogging, my little shop, my family memory documenting and so forth, and my sponsors and I have been so stoked to get this started! Even if you don't think you'll use it, if you have someone in mind who would be deserving of this as a gift than I hope you enter! Here are the talented and creative bloggers and shop/business owners that have made this giveaway possible today- go say hi! - Again this is open internationally! hooray! - The winner will receive the Canon Rebel T3i in a kit with an 18-55mm lens, a battery and a battery charger. - Winner's entries will be verified before the public announcement. you weren't kidding about the colors - sheesh!! Gorgeous photos, isn't it nice to have days when you have a lot of energy. I feel like I always do the provo hikes: stewart falls, the Y, timp (hard hard hard hard). I need to find some new ones! utah is just so beautiful...my husband and I considered moving there! SO gorgeous!! 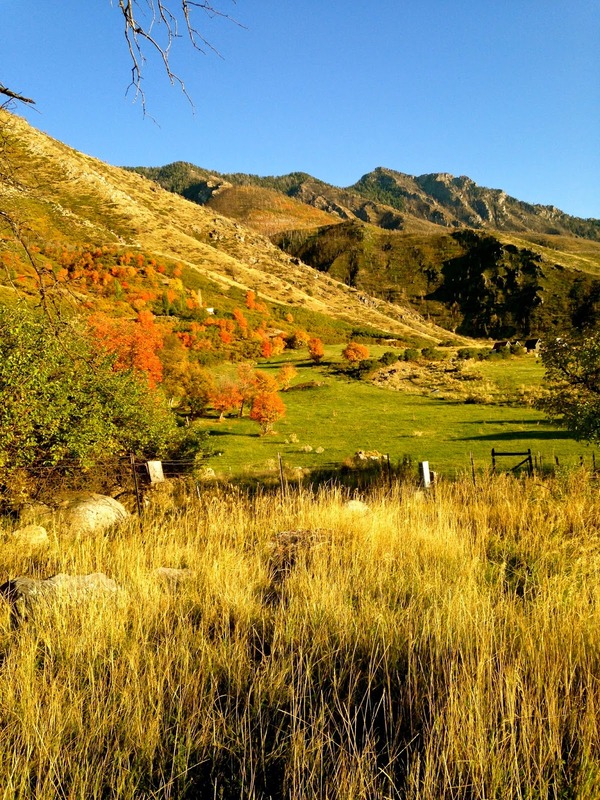 I just commented on another blog that I really need to go visit Utah! It has got to be one of the most beautiful states. Haha love the overalls. So funny. Omg but those photos - fall colours, mountains, green grass and cottages - it's gorgeous out there!! SO pretty! Good for you for pushing yourself! Haha! That last photo is so funny! Can't wait to see more! That's what Utah looks like!?!? It's GORGEOUS! :) One day, I WILL make it out west! utah is so gorgeous!! they have so many great hikes. love the foliage. we're going on the narrows hike at zion next week actually and looking forward to it. :) such a great giveaway!! i shoot mostly portraits but i've been trying to do more travel. Beautiful pictures, and I'd shoot EVERYTHING if I had a DSLR! Beautiful photos! 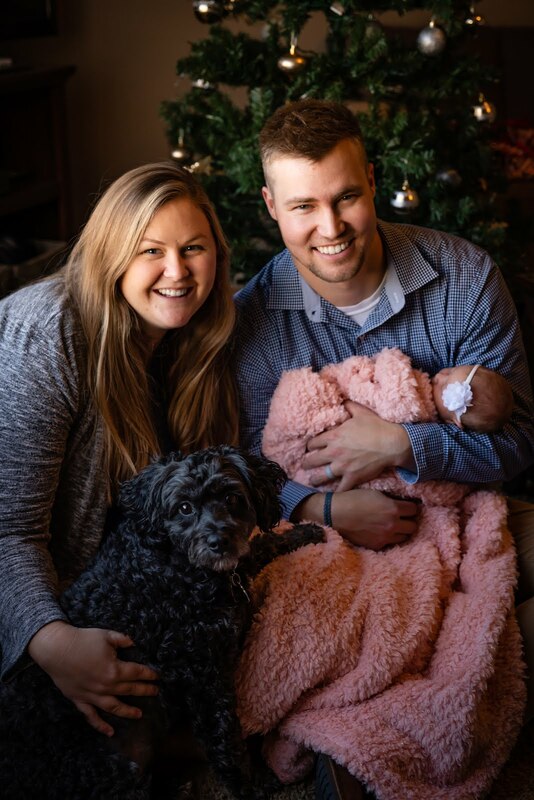 I'd photograph my nieces and nephew! Utah has some beautiful places, but WOW! These pictures are amazing!!! This post reiterates why this is my favorite time of year. Fall is just so flipping beautiful. I don't hike, but, thanks for letting me live vicariously! Wow that looks like a gorgeous hike! How amazing that you live so close to it. This looks like such a beautiful hike. The pictures are stunning, all the colours of autumn are in them. Wow what a beautiful place!! I really need to visit Utah one day. Beautiful photos! I'm hoping we can go hiking soon - I miss it! Wow! 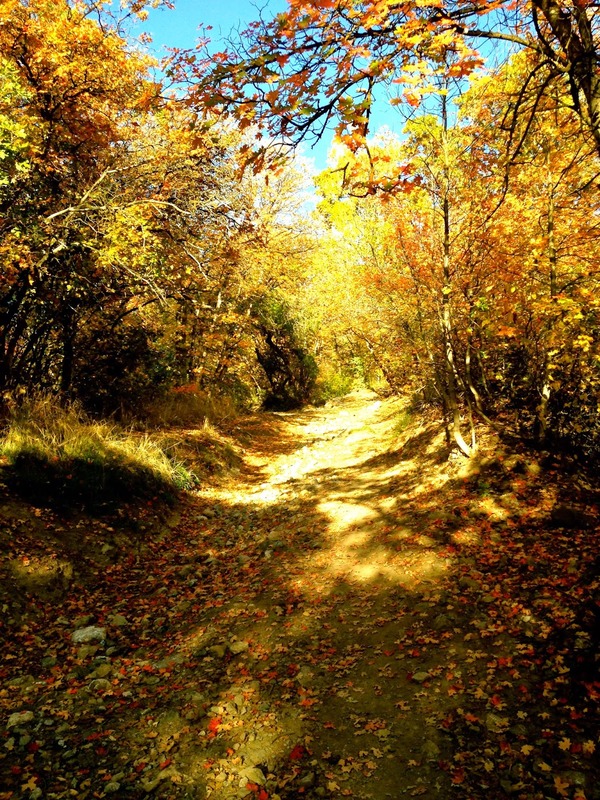 These are some incredible shots of Fall! So many shades of color! What an amazing view! So so beautiful and you guys look so country in your dungarees! I love it! 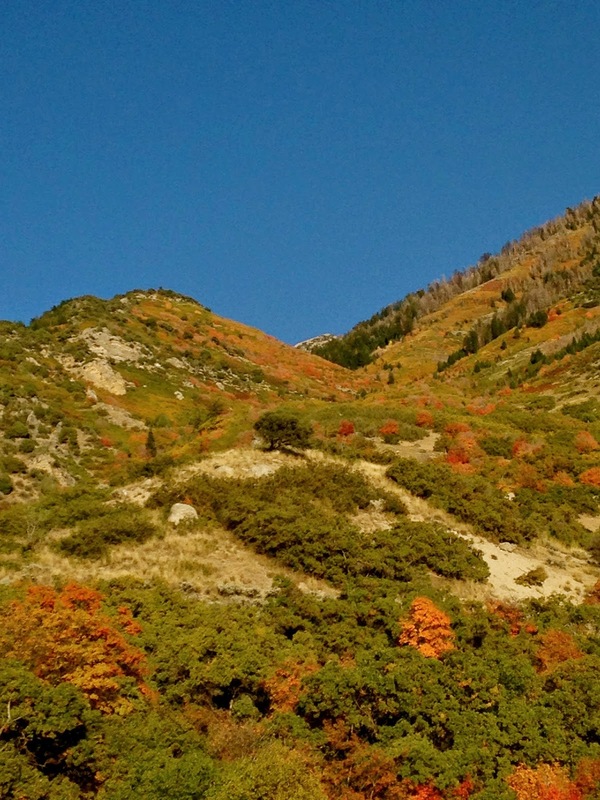 These mountains are so beautiful and full of fall colors! We don't quite have that here yet. My hubby and I did a 10-day roadtrip in Utah 2 years ago and loved the nature there! Quite a beautiful state. We love the area around Kenab! SO much beauty! We love taking hikes and exploring our town as well! Such beautiful views, breath taking. Glad you took time to explore your area. Cool giveaway. Hmm, if I lived out there, I would brag about the beautiful scenery every time I talk. WOW -- that is picturesque. Beautiful photos! Hikes are amazing for de-stressing and boosting your energy. Lovely countryside to hike. Gorgeous pics! Must have been a wonderful day. Those colors are so amazing! That's one of the things I miss on the west coast - we don't really have the leaves changing color like out east! I'll have to make a trip to see them in person one day! Again, simply gorg photos. I'm more relaxed now just by browsing through them. Cute overalls too!